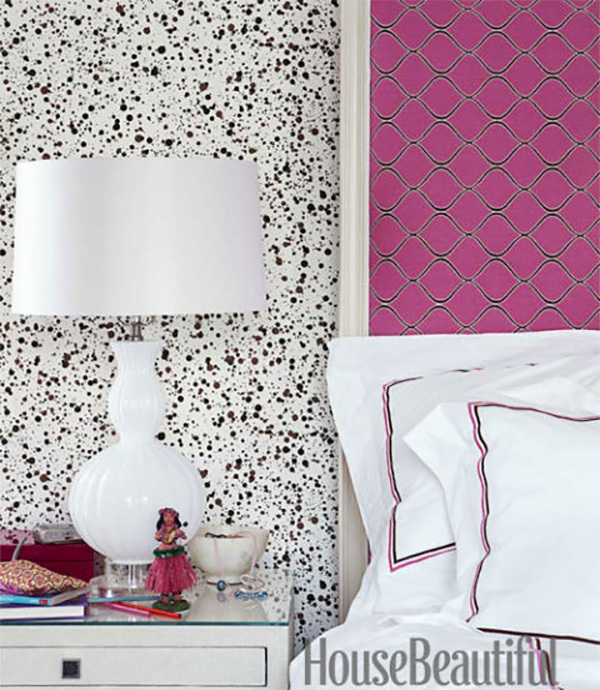 It’s all about paint splatter in design on the blog today! The paint splatter motif’s abstract nature makes it a great way to bring an artful touch to your home, which I love of course! When looking to make a bold statement in design, paint splatter home accents really achieve just this. It’s bold, artistic, unexpected and fresh. A perfect combination! 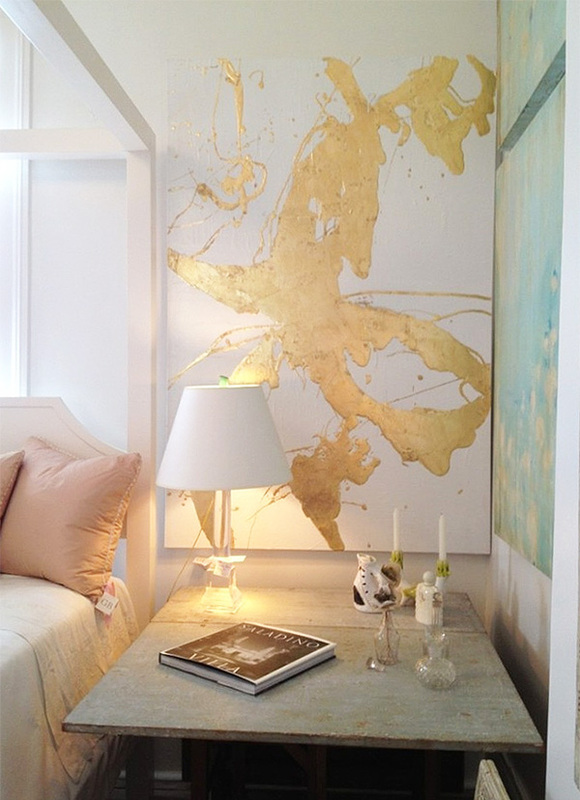 I’ve rounded up my favorite paint splatter designs that are executed with style. Here’s some chic inspiration for your Monday! I love how much drama paint splatter can add to a space. 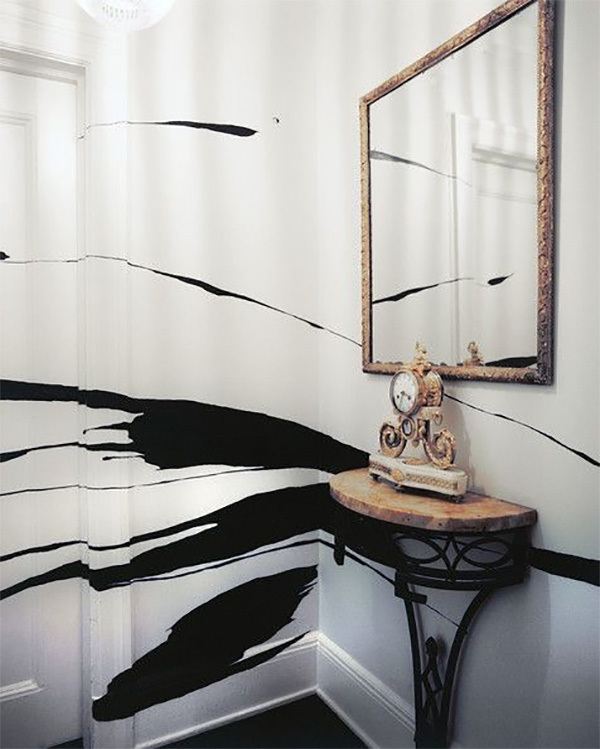 The hallway in Kelly Wearstler’s design above is a great example. 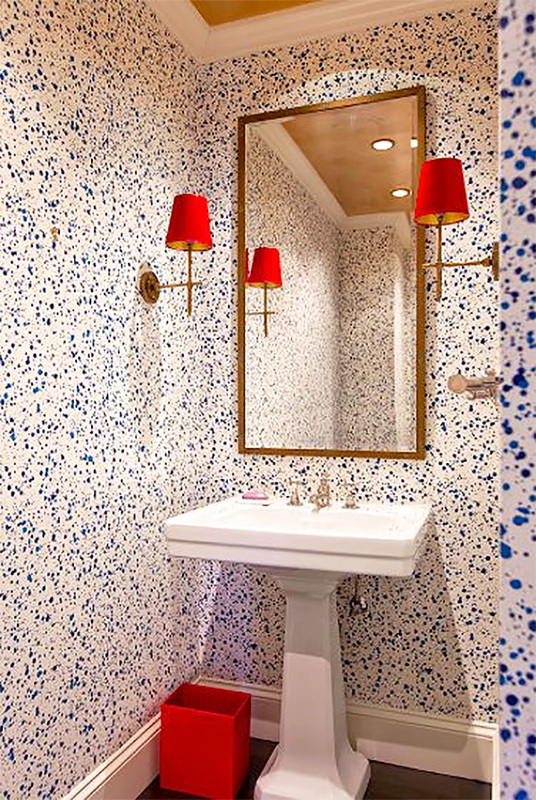 The small powder room below makes a huge statement as well with paint spatter-style wallpaper. 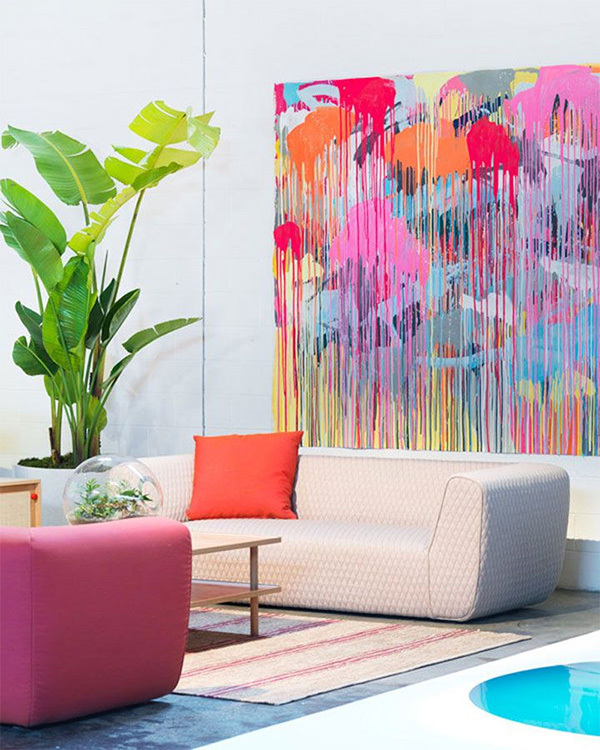 If you don’t want to take the plunge of paint splatter wallpaper, you can try selecting your favorite fine art painting that evokes a paint splatter feel. Australia-based artist Rowena Martinich painted the colorful artwork (above) and has many other fine art creations for sale on her website here. So basically, paint splatter in design is pretty cool! 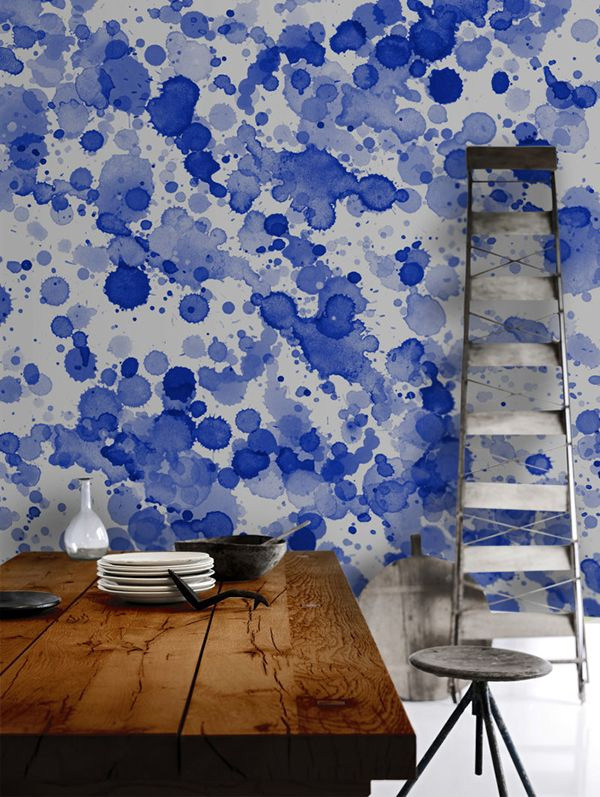 If you’d like to try paint splatter wallpaper, check out this option. 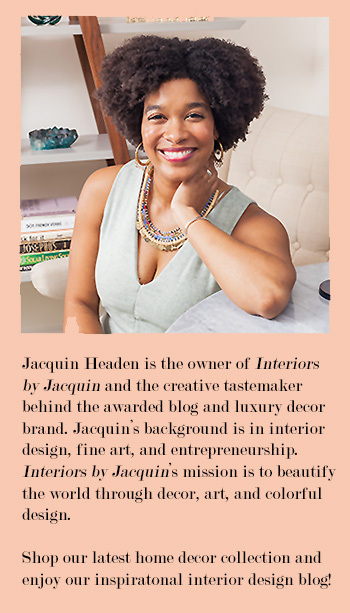 Also, here are two great resources for adding a chic paint-splatter vase to your home. On the left you’ll find an awesome DIY paint-splatter vase project from Little Green Notebook blog, which you can customize in your own colors! On the right you’ll find Jonathan Adler‘s luxe black and gold paint splatter vase, which is an eye-catcher with a hint of drama. Take a look!